Did you need the custom version of Plex that was built in that thread or does it work with any Plex now? 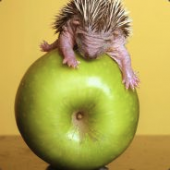 I'm running current binhex docker image. Im using the official Plex Inc Docker. I followed instructions here to add variables required. i hate to ask the obvious. Say I install a compatible Gpu, and use the Plex docker. 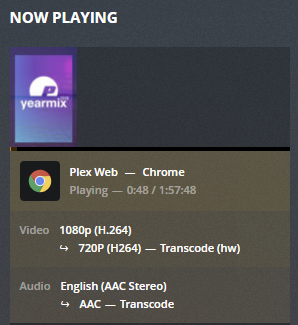 If my sister who lives far away starts her Plex app on her smart TV, will she see a difference? Or it is just off-loading my cpu and re-encoding on GPU on my end? What happens if my other sister watches something at the same time? If you're not CPU bound, then there's little point. The end user won't notice a difference. Great I didn't know I could use my already configuration! Someone in this thread reported that he replaced his existing template with the standard template? OK REMOVED everything and started over and I got it started but the looks like the docker selects the internal IGU before the Nividia GPU? Do I need to change the Bios so that the external card is the primary for this to work? Yes because Plex used my IGPU - it was showing HW transcoding in Plex and nothing in the above load for my P2000 Card. SSH to your unraid server and run it from there? Awesome, thanks! I had to use the beta tag and get 1.15. Once I had that, I started seeing HW encode and decode!!! So maybe a stupid Q but the decoder is only used if you use your Unraid server for direct playback to a Screen right? No Plex doesn’t do this, I remember a video from sloth tech tv and a post Plex will use the first - primary display device and only one! No, it will transcode for remote clients as well. Is the nvidia driver going to stay on the LTS branch and will the driver be updated to follow unraid releases or when you guy see fit. Thanks again for the hard work is the least I can say honestly. Awesome work! This is something I've been looking for a while and glad to see such a clean implementation. Just wanted to say thanks for pushing through despite the previous failures and making this a reality. We use upstream Slackbuild packages to build the drivers, and don't really intend to change that, so driver version isn't something we have any/much control over. Plex keep switching back to the IGPU, even after setting the P2000 GPU as primary display in the bios? Any "force full" way I can configure the Plex docker to only use the GPU? Running the other Plex Nvidia docker and executing the "watch nvidia-smi" it works and I get the picture below but no load on the GPU? One thing come to think about it I did create a Video device in the org Docker that I build the new one on, but the below settings is not in any of the dockers so it can't be that can it? Anywhere I can manually go through the file? or does anyone have any working XML template that I can try out? Real quick question that I didn't see the answers to with a quick glance. Does this work with 6.6.6 or do you need to use one of the Next updates like rc3+? Oh, also, does this only work with Plex or Emby as mentioned or is there/will there be support for it to work with other applications (for example, Boinc)? Oh yeah, and someone mentioned that Plex will only use a single GPU and only for encoding, no decoding. I'm assuming that means that it would make it useless to attach 2 GPUs to that container since the 2nd one would always be idle regardless of if there were multiple streams going on at once? The plugin installs a custom build of Unraid. See Step 2 of the instructions in the 3rd post. Okay, gotcha. I appreciate the clarification. What would the upgrade path look like? Let's say we've setup 6.6.6 and we want to upgrade to 6.7.0 now, what do we have to do when the OS upgrades to 6.7.0 ? It should work with any container where the app supports gpu stuff. All the plug-in does is make the gpu and its drivers available inside the container. I just did a total clean pull-install and set everything up from scratch! And no matter what I do it does hw but I can not see any streams on the GPU? This is driving me nuts.... I have been trying so many different things i'm out of ideas? the screen goes black after booting UnRAID? why wouldnt it just stay like normal blinking root? does the new UnRAID build take ownership of the GPU after boot? My understanding as well, only a single GPU. As for encoding/decoding, someone else mentioned in here that you can modify Plex to get encode/decode and that worked for me. I had to switch to beta branch to get 1.15. 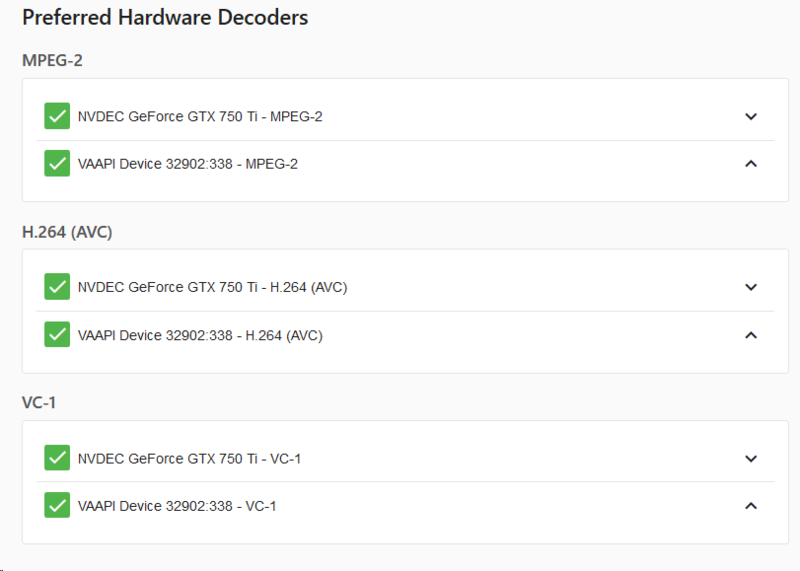 Then modify the "Plex Transcode" script to force nvidia hwenc. Then encoding and decoding worked. Just to clarify, you are speaking of a beta version of Plex docker? Pretty sure he was talking about the latest plex pass version.